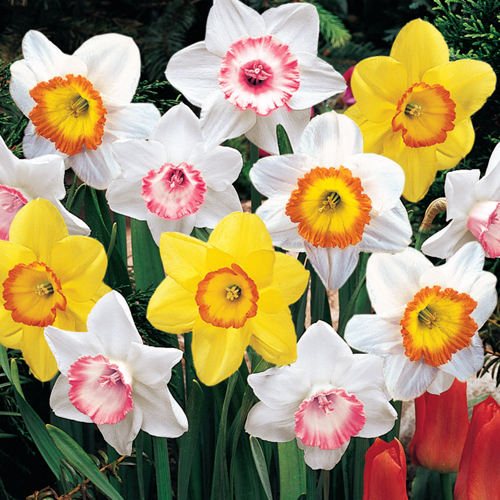 A special selection of large-cupped daffodils with uniquely edged cups. The Daffodils in this mix have been chosen for their outstanding growth habit and blooming quality. The colors are bright and rich. Ideal for a showy floral display that will add springtime to any garden. These large-cupped varieties are selected and recommended for naturalizing.